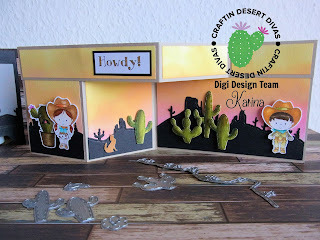 Hello Craftin Desert Divas Friends!!! 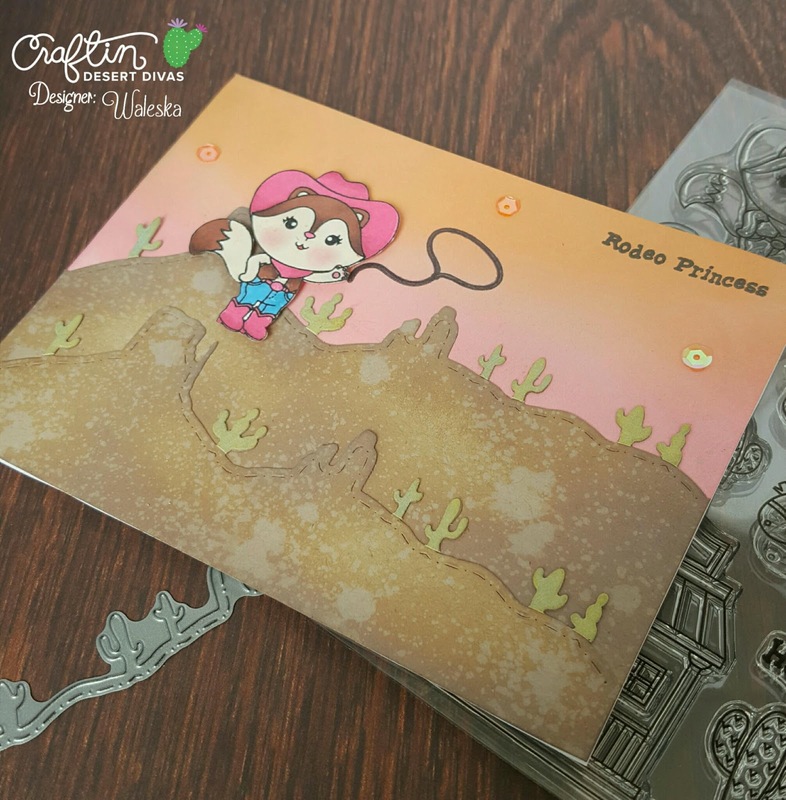 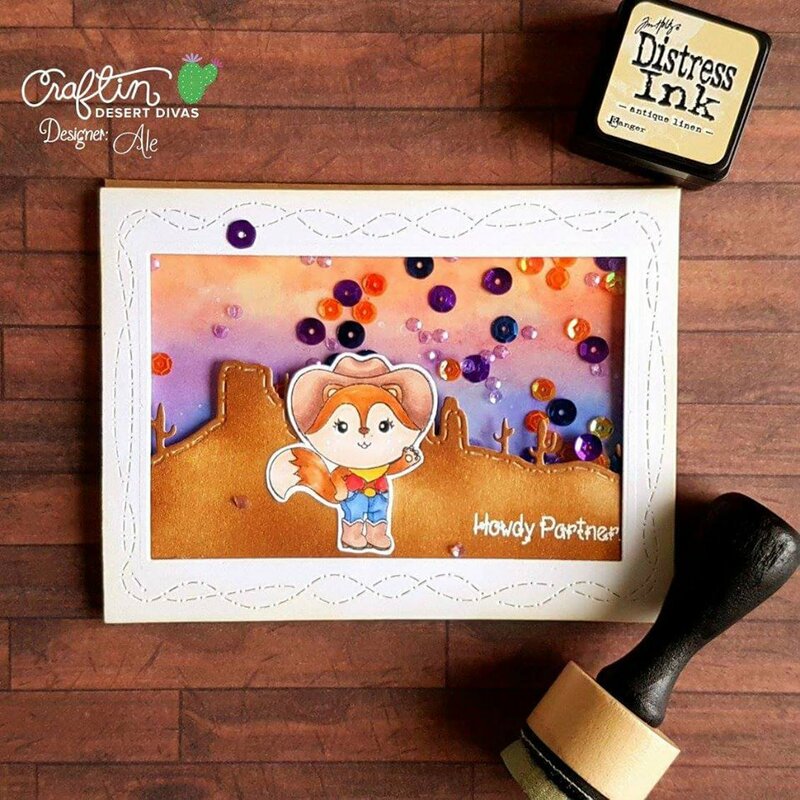 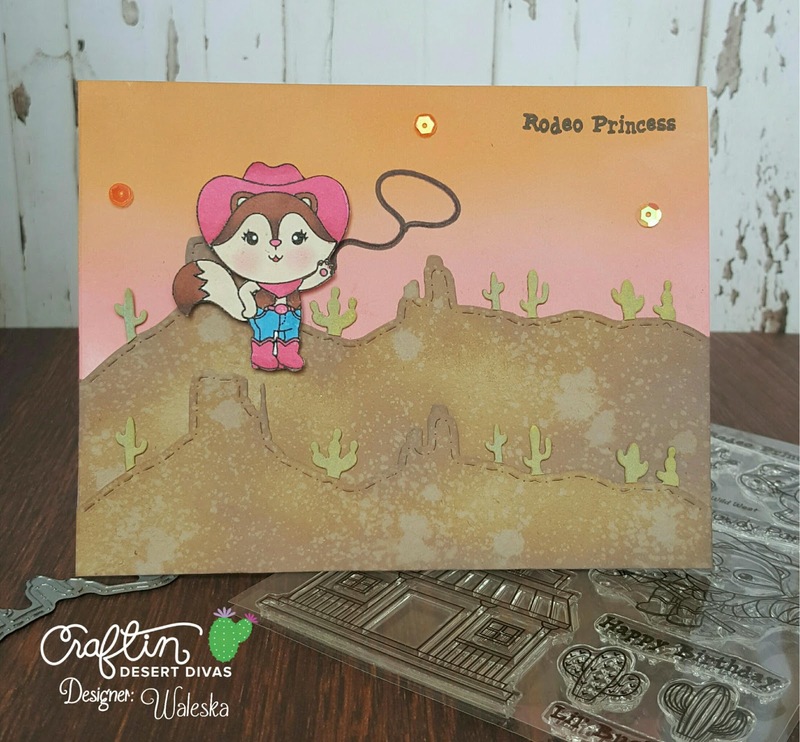 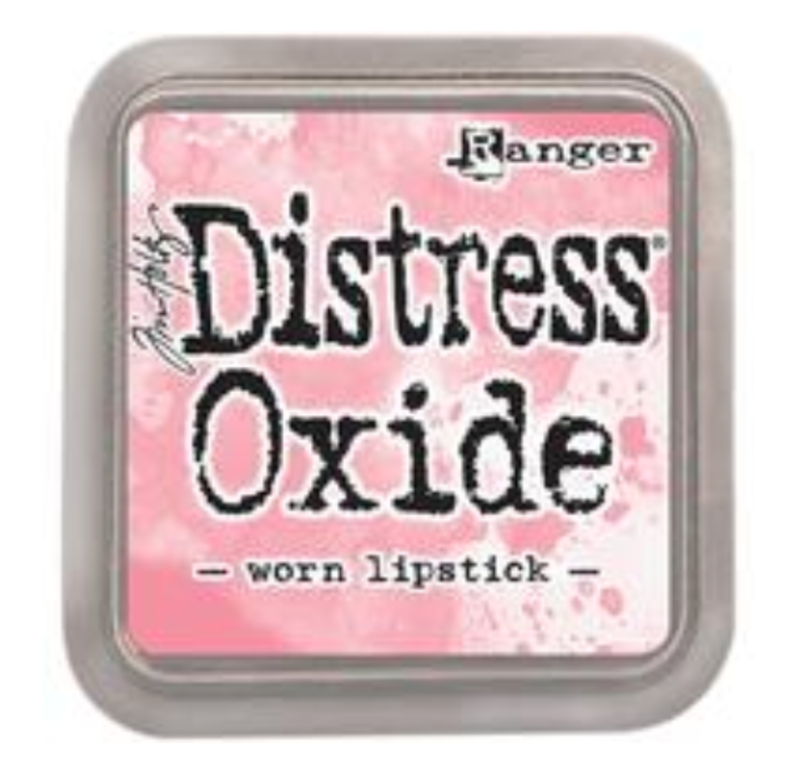 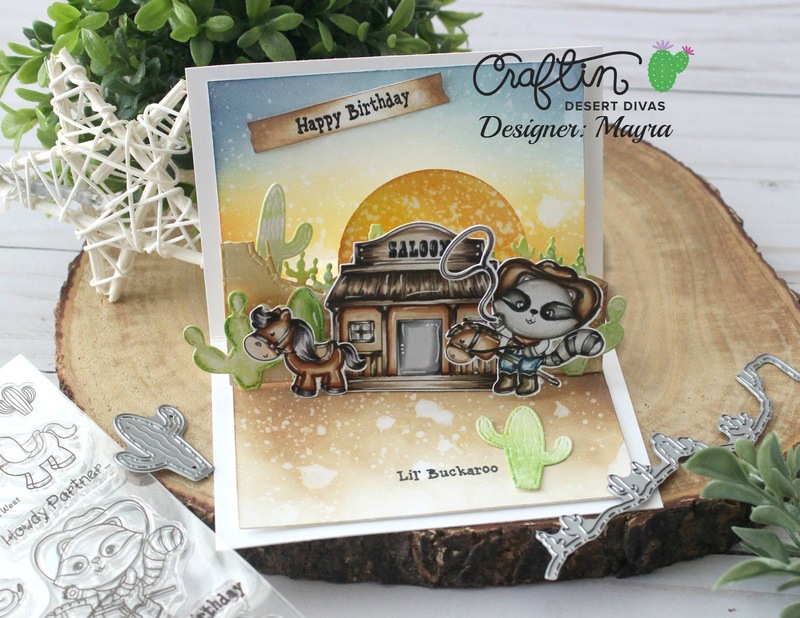 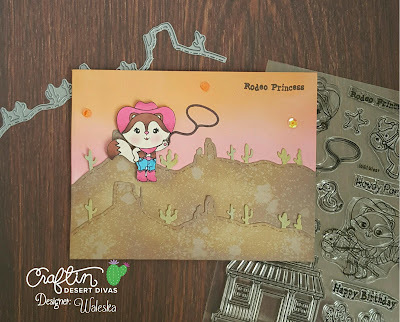 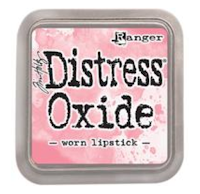 Waleska Here with Day 2 of the June Release Sneak Peek... Today I have for you the oh so cute "Wild West" new stamp set and "Southwest Border Dies". Please visit our Facebook Event page HERE for more on this and the rest of the release. For this card I used Oxide inks for the background in colors Worn Lipstick and Spiced Marmalade... they blend so easy (You need to try them, and we now have them at the shop HERE) for the Southwest Border Die I used Vintage Photo and did some masking for the cactus and used Peeled Paint to color them. I splash some water drops to create the desert effect... I color the cute Critter with some girly colors to match the background.... the sequins I used are from the new release! 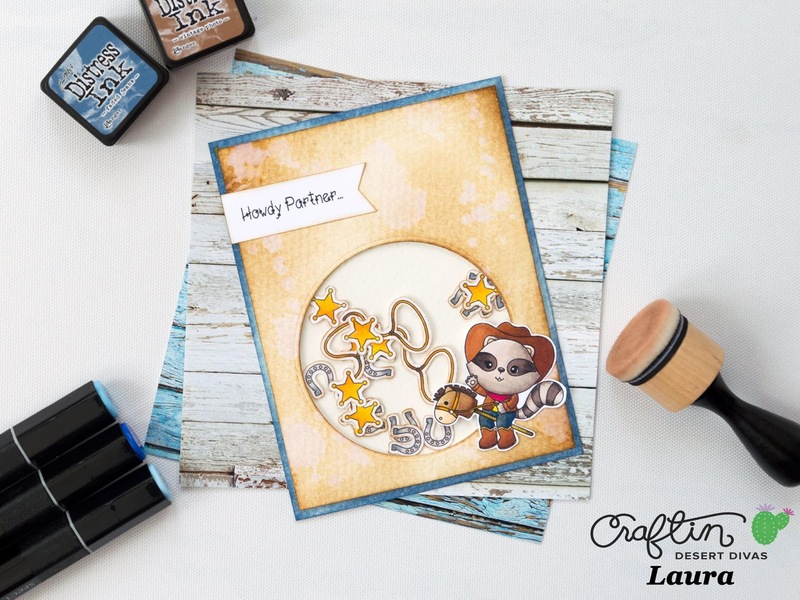 I hope you are excited to see more of this Amazing release.... because there is so much more... you are going to love it! Thank you so much for visiting the blog, have a wonderful stating week! Very cute! 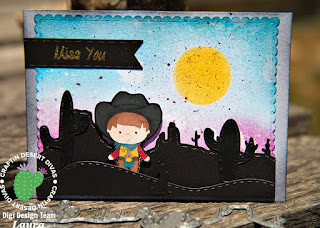 Love the sky background.